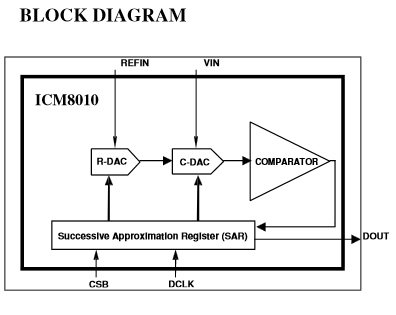 The ICM8010 is a 10-bit 750kSPS throughput rate Analog-to-Digital Sampling Converter. It has a successive approximation architecture and can sample the analog input. It has a flexible serial interface.